had been rehearsing rigorously in preparation for a series of concerts in London in which he was scheduled to perform as part of what was to be an unprecedented revival and promotion of his popularity. made their un-welcomed presence known as did various television stations when their helicopters appeared in flight overhead. automatically be denied the opportunity to say goodbye to their deceased relative or friend in their own special way. Paris' words revealed what no one else could say for her--that she considered Michael Jackson to be the best father anyone could imagine. Although many have found it incredible to believe that the singer's three children are his biological offspring, they said it simply didn't matter after hearing Paris' eulogy. Another unique feature of Michael Jackson's funeral is that it actually took place twice-- a "private" memorial service for close family and friends, and another for the adoring public. Again, this is something that can be implemented in funerals for non-celebrities, allowing the family and chosen friends a final time to be together before their loved one's burial and the final goodbye. Stevie Wonder, expressed the wishes of so many when he said, "This is a moment I wish I'd never lived to see." He gave tribute to Michael Jackson in his singing of the theme song, "﻿Never Dreamed You'd Leave in Summer." Jackson's fans, whether they could attend his funeral or not, were not left out when it came to giving tribute to the star. The web site, MichaelJackson.com, gave his followers the opportunity to give their eulogies in cyber space. 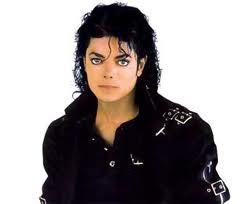 The element that made this type of homage unique is that some fans addressed Jackson personally in statements such as, "﻿I will always love you Michael. Your music will live forever." It was impossible to allow every fan, friend, and family member the opportunity to eulogize Jackson at his funeral. However, the Internet has made it possible for every admirer of his to not only offer their tribute, but also to have it heard and read by others who identify with their words.